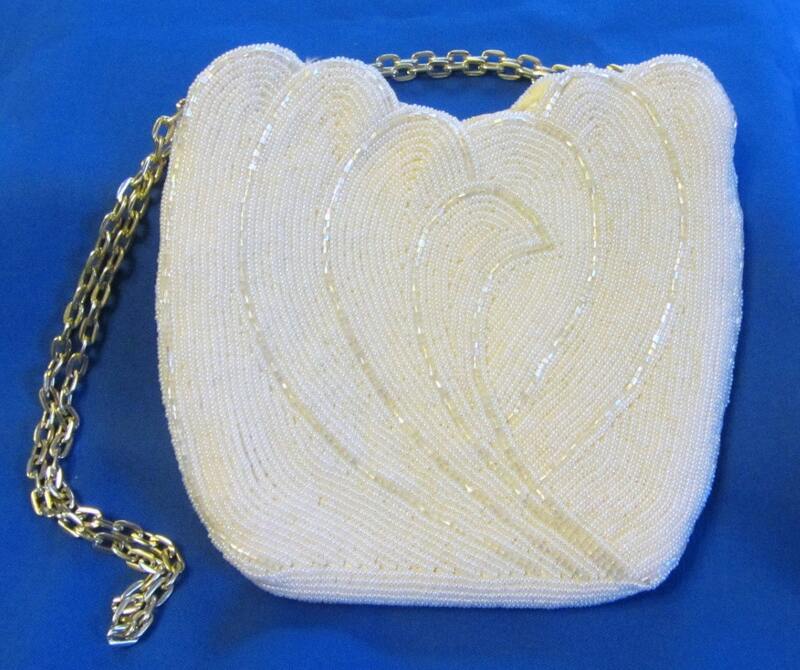 Vintage Walborg beaded white evening bag with iridescent sequins. Has a lovely tulip design shape. 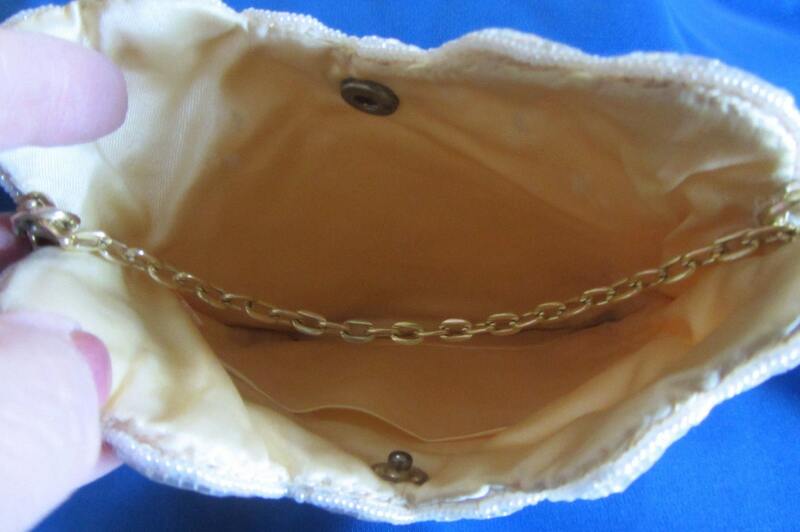 Gold tone chain can be extended and carried with long single chain or with two chains. Made in Hong Kong" Has a pocket inside and snap closure. 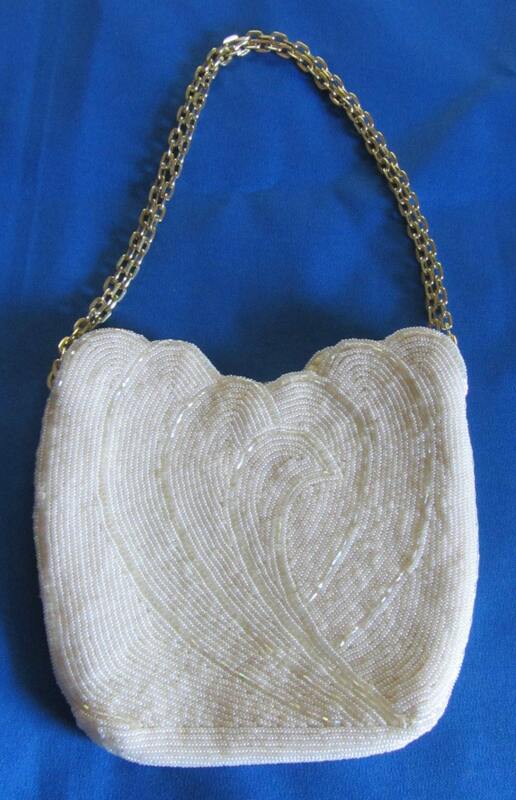 Bag measures 6.5 inches at widest point by 6 inches at tallest. 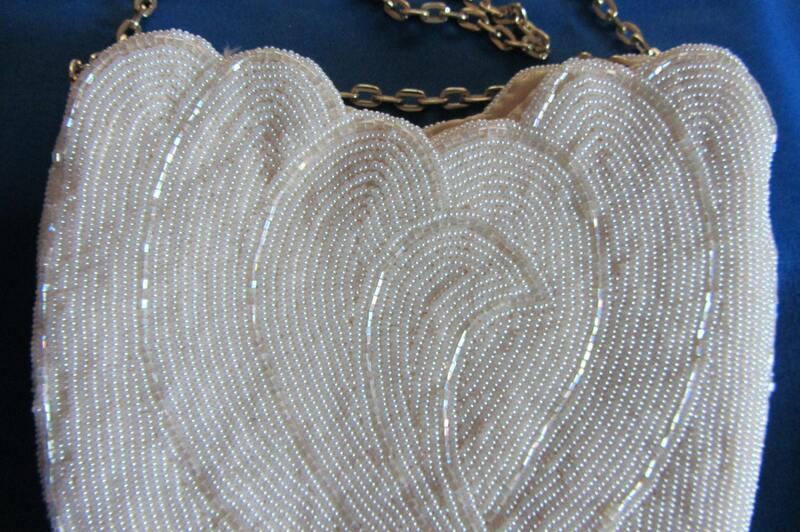 No kidding, this evening bag is really beautiful!